When 39-year-old Sharon was told she had breast cancer, time stopped. Like many women, Sharon assumed she was too young to be diagnosed with cancer. The lump didn’t go away and, over time, it began to hurt—which was when Sharon found a second lump, this time in her right breast. “I remember the night so clearly; it was a Friday night, the kids were in bed and my husband and I were sitting on the couch watching a football game,” Sharon said. 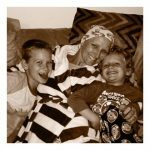 “It still didn’t cross my mind that it could be cancer because breast cancer doesn’t run in our family and I was feeling the best I had in awhile. I really thought it was just going to be a cyst,” Sharon said. But a mammogram and biopsy confirmed the six centimetre lump in Sharon’s right breast was not a cyst—it was cancer. “After my GP gave me the news, she called my husband but as the phone started ringing I hung up; I didn’t know how to tell him or what to tell him but I knew he would just be devastated, she ended up telling him for me” Sharon said, her eyes filling with tears at the memory. “Kerry and I are both from New Zealand and have no family here so I then had to ring my mum and my best friends and tell them over the phone and that was really hard. “It was a really bad night, I hardly slept. I just remember after all the phone calls and putting my kids in bed, I just sat down and cried and cried with my husband. Hearing the ‘C word’ was even scarier for Sharon as her dad had died from liver cancer five years earlier. “Because my dad had died from cancer, Caleb kept saying that everyone dies from cancer, he just didn’t understand. 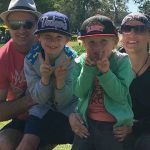 “My husband Kerry and I explained to both the boys, as much as you can to a seven-year-old and four-year-old, that I had cancer but that I wasn’t going to die. Four weeks after her diagnosis, Sharon underwent a mastectomy before starting six months of chemotherapy and five weeks of radiation. 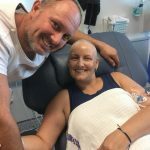 “The chemo was horrendous; I remember thinking that I couldn’t believe I was putting poisonous toxins into my body, even if it was to kill something that was trying to kill me. “I ended up on the bathroom floor for 13 hours; I barely had the energy to lift my head to be sick and I was so cold. My husband was trying to look after the kids and look after me, it was so hard for him. Thankfully, Sharon and Kerry’s friends rallied around the young family. 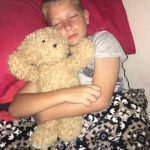 Sharon was also put in touch with Mummy’s Wish, who provided Comfort Bears for Caleb and Hudson. 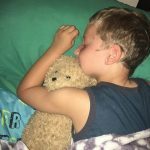 “Both of the boys still sleep with their bears and each still has the same recording as I left when they first arrived: “Caleb/Hudson don’t forget that mummy loves you so much. I love you my gorgeous boy”. 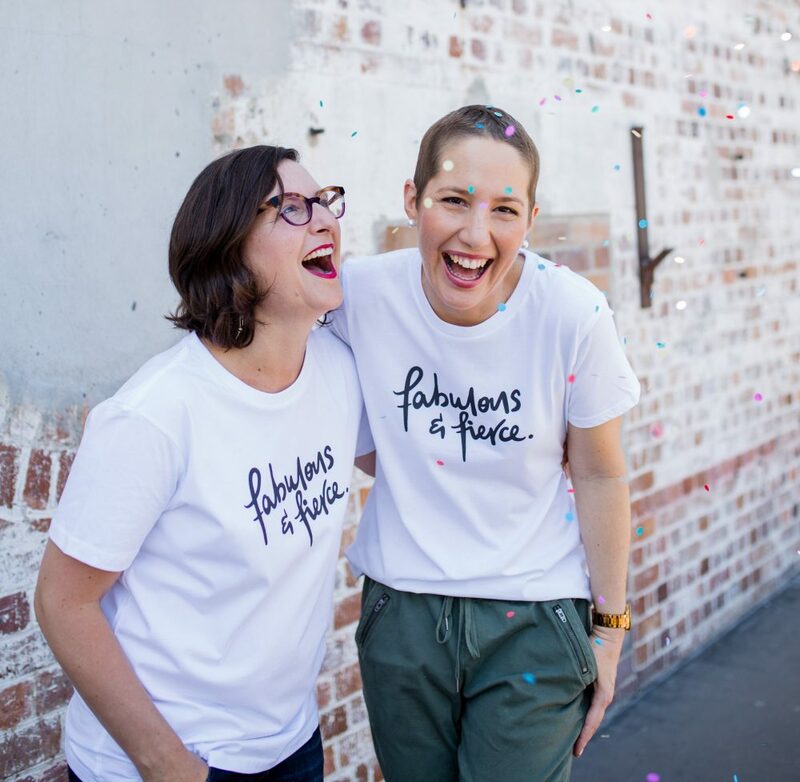 “The work that Mummy’s Wish do is invaluable to women like me and donating $40 for a Cuddle Bear is a small price to pay. “The smiles that it brings to a child’s face is priceless and so is the comfort that it brings to a woman going through cancer treatment.